Now that holiday hype and excitement from CES 2013 is beginning to dwindle down, the tech community has its sights set on what this year may offer in the smartphone industry. Anticipation about Samsung’s rumored Galaxy S4 has been building for quite some time, and now reports have surfaced claiming that its display might have made an appearance at the annual technology showcase. While the Korea-based manufacturer is known for staking a larger presence in next month’s Mobile World Congress in Barcelona, Samsung had some fairly impressive revelations for this year’s CES. Smartphones largely took a backseat to Smart HDTVs , but those who took the time to check out Samsung’s booth on the showroom floor may have noticed the brand new slew of AMOLED displays. In addition to the company’s flexible display technology, which has been showcased at previous events, Samsung touted its fresh full HD 1080p AMOLED screen. In terms of length, the display measured up to 4.99 inches diagonally packing 440 pixels per inch. The company is also using a new material on this line of AMOLED screens that will reportedly save power by 25 percent, according to AnandTech , who additionally reported that the display boasts a low power mode that can save energy up to 47 percent. There’s no guarantee that this is the display Samsung fans will be seeing on the next-generation Galaxy S smartphone, but it does appear to keep with the company’s moniker thus far. The current Galaxy S3 features a Super AMOLED display just a tad smaller at 4.8 inches with full HD. This new mystery display from CES does come equipped with a significant upgrade from that of the Galaxy S3, as Samsung has managed to pack 440 pixels per inch into this next-gen screen while that of the S3 only has a ppi of 306. Whispers about the launch of a new Galaxy S phone have been running rampant on the Internet since shortly after the Galaxy S3 was released back in May. The notion that this new 1080p HD display will launch in the first quarter of this year is sure to strengthen speculation about the Galaxy S4 , which Samsung has remained tight lipped about for the majority of 2012. Rumors surrounding the next-generation device began to gain traction back in September when the Korea Times suggested that it would launch as early as next month. “Samsung is ready to unveil the next Galaxy smartphone- the Galaxy s4- at early next year’s Mobile World Congress (MWC) in the Spanish city of Barcelona,” a Samsung official reportedly told the Korean news publication. Samsung was quick to squash this speculation via Twitter, but that hasn’t stopped the rumor mill from churning in overdrive ever since. Little to no information about the device has actually been confirmed, but the strongest and most credible piece of information came from the company itself earlier this month. In response to a fan, Samsung’s Lebanon branch recently posted on its Facebook page that the next flagship handset won’t launch before May 2013. This doesn’t provide much detail about the device, but it does confirm that the Galaxy S4 does exist and is likely to launch this year. Samsung Galaxy S4 Rumors Heat UpSamsung Galaxy S4: The Big DayNo Longer a Rumor: Samsung Galaxy S4 Set For March 14th ReleaseSamsung Galaxy S4 Rumor: Verizon Bound? 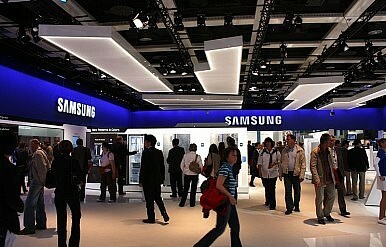 Samsung Galaxy S4 Rumor: Arriving in April?